The U.S. Army wants information on vendors that can help the service plan, execute and evaluate tests on a class of military systems designed to neutralize adversarial warfighting assets. In a FedBizOpps notice posted Friday, the Army said it also needs support to investigate combustion reactions of vehicle stopping technologies; conduct model-based engineering of non-lethal weapons systems; assess the effectiveness of a spectrometer tool to recognize target defeat materials. The service also eyes field tests to determine the potential hazards of exposure to non-lethal technology on human volunteers’ performance. 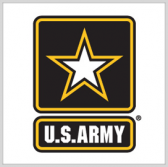 The Army encourages contracting firms of all sizes to submit input and noted that responses are due Oct. 22.